Jenny, Jenny, Jennifer, Jennifer, Jane. These were the names of all the customers hungrily waiting in the queue for their hamburgers to be ready last night at the Burgers Bar. And they were DELICIOUS, since is there anything more exciting, more wonderful than an unexpected freebie? My annual Shavuot morning walk to King David’s Tomb with my younger children is already a long-standing Shavuot tradition, and it is enabled by the promise of treats along the way. Yoel’s legs are tired but I tell him, “Soon we’ll get a rugelach and a cup of soda by Jaffa Gate…” And sure enough, every year, some anonymous benefactor has placed tables of cookies and cola for the crowds returning from the Kotel on Shavuot morning. This anonymous benefactor even provides a refrigerator truck in order to keep the drinks cool! And like I do every year, I asked the Arab man who was supervising the tables whether he knew who had provided all these treats. “Is it a person? Is it an organization?” but he just shrugged. He, it appeared, was as clueless as us recipients about the source of this annual kindness. And again, at the Tomb of King David, there were piles of rugelach and Jerusalem kugel and pickles and bottles and bottles of RC cola and a rainbow assortment of Fanta, as well as a hot water urn alongside jars of tea and coffee (Turkish AND instant). Again, I asked the woman who stood refilling the cookie platters whether she had provided all these drinks and treats…But, like the Arab man at Jaffa Gate, she just shrugged. She had no idea who had paid for it. Maybe it’s funny, but these random acts of Shavuot kindness by anonymous benefactors left me teary-eyed. So many thousands of dollars spent by people who are motivated solely by their desire to do something nice for another person. So much goodness. Unbelievable. 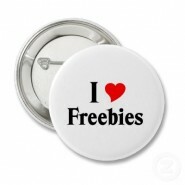 And as I exited the tomb and headed back home with my kids I started thinking about the Ultimate Provider of Freebies. The One who provides this world full of trees heavy with fruit to eat and the springs full of water to drink and the forests full of trees for shade and our bodies with eyes that see and our hearts that beat and our legs that walk. Not to mention the ultimate Shavuot Freebie: our wisdom-filled Torah that inspires us and guides us. and I was also thinking of you and our correspondence last year about shavuos! and I was thinking about how I’ve come to enjoy shavuos even though my husband has to teach all night, and we have to have the nighttime meal on our own. just beautiful. thank you for the reminder that we are lottery winners every single moment that we breathe. i so appreciate your posts. This Shavuos kindness is the ultimate expression of walking in the path of Ruth. The Megila that has no Isur V’Heter, it is all about kindness. The generous provider not only s going in the path of our creator, but also taking the opportunity of this auspicious time and doing what the mother of Malchus did. Yishar Coach.